Over the last few months, Xiaomi has been taking the mobile market by storm by producing products with high-end features and releasing them at an affordable Android price range. This strategy has placed the brand head-to-head with the big guns of the mobile industry - going after the target market of Apple with its identical design, and stomping over Samsung sales in China and other parts of the globe. 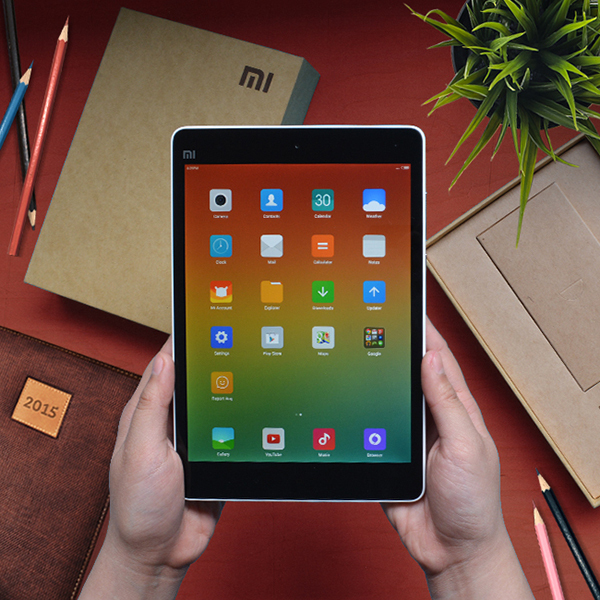 Dubbed as the iPad killer, the Xiaomi Mi Pad is the brand's first foray into the tablet market. It is supported by 2GB of RAM, 16GB of storage expandable to 128GB via SD card, an f2.0 8-megapixel rear camera and a 5-megapixel front camera, 1080p video recording and a 6700mAh battery capacity. Its hardware supports seamless gaming and high resolution screen that is perfect for streaming and watching videos. All this comes in a wifi-only 7.9-inch screen that is easy to carry around for entertainment, school or even office use. 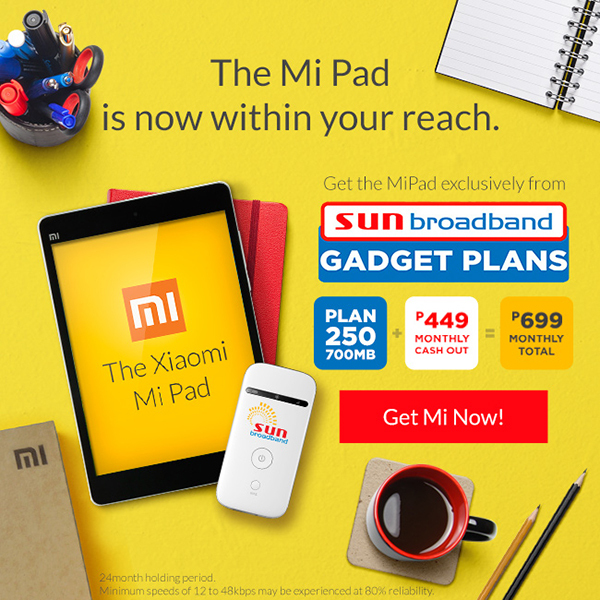 The Xiaomi Mi Pad is now available via Sun Broadband Gadget Plan 250 with P449/month cash-out. Plan 250 includes 700MB of open access every month which you can connect to via pocket wifi. Click here for more affordable plan options and info.